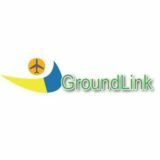 GroundLink began the recruitment operations in 2007. We recruit Flight Attendants in Portugal, Spain, Estonia, Latvia, Lithuania, Slovenia, Czech Republic and Poland. Along with Crewlink we train Flight Attendants to Ryanair. Till the present date, we have recruited more than 2000 Cabin Crew and organized more than 60 training courses.